Death, The Gate of Life? 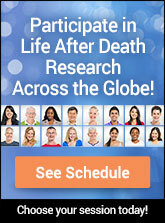 Hilda Roderick Ellis, M.A., Ph.D.
Life Beyond Death - What Should We Expect? James H. Hyslop, Ph.D., LL.D. Raymond A. Moody, Jr., M.D.